Mantashe appears before State Capture Inquiry - SABC News - Breaking news, special reports, world, business, sport coverage of all South African current events. Africa's news leader. 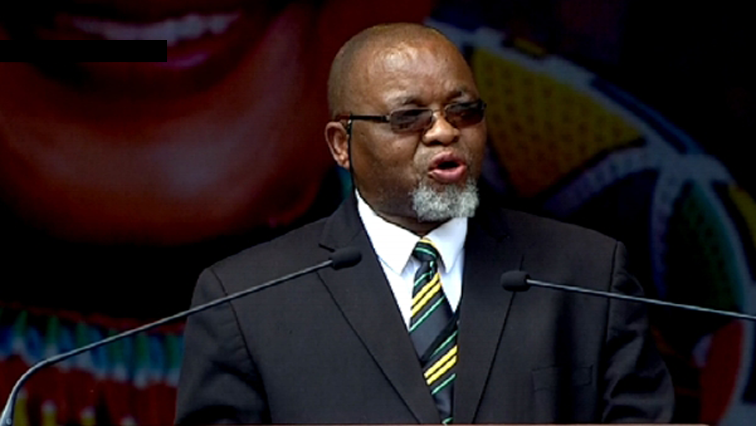 The African National Congress (ANC) National Chairperson, Gwede Mantashe, is appearing before the Commission of Inquiry into State Capture sitting in Parktown, Johannesburg on Tuesday. Mantashe was the ANC Secretary-General between 2007 and 2017. Several witnesses including former ANC public representatives and the banks have implicated Mantashe in their testimonies. Listening to testimonies at the State Capture Inquiry over the last two months, it would appear that the ANC as a party is in the dock. On Tuesday, it will present its side of the story with National Chairperson, Gwede Mantashe, expected to present a report to the Commission. Former ANC MP, Vytjie Mentor, was not so generous in her testimony, alleging that Mantashe and his Deputy, Jesse Duarte, did not take her seriously when she went to Luthuli House to report that she too had been offered a cabinet position by the Guptas. Mantashe, however, has accused her of lying. The rationale behind the ANC meeting with the executives of South Africa’s big four banks, will also come under the spotlight. This entry was posted on 27 Nov 2018,12:35PM at 12:35 PM and is filed under Politics, Homepage Featured Story Slider. You can follow any responses to this entry through the RSS 2.0 feed. Both comments and pings are currently closed.